This time last week I was en route to Soho Farmhouse, in picturesque Oxfordshire, to do what I love most: share my passion for Ayurveda. 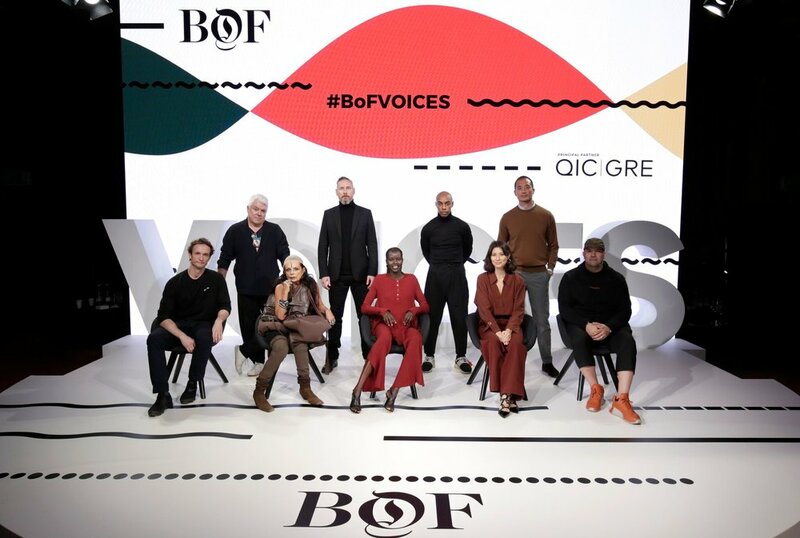 I was invited by Business of Fashion to take the stage at its VOICES “gathering of big thinkers” and talk about how to utilise the old rules for health to find balance of mind, body and spirit. I spent the first 36 hours hanging out with some of the most forward-thinking people from the worlds of fashion, tech and wellbeing before having my mind blown by the most inspirational speakers, brilliantly curated by Imran Ahmed, founder of ‘BOF’, to share truths, discoveries and creations for the future. Come Friday, as part of the Live Your Best Life line-up, it was my turn to share the story of Ayurveda and the importance of going back to nature, trusting our bodies and environment to feel at our best, relearning to rest and just be, rather than doing all the time. We are human beings after all, not human doings. I also explained how many of the wellness trends we are seeing today take their roots in Ayurveda — almond milk, turmeric lattes, meditation, etc., but we must understand how to use them within context, in a balanced way. I’m seeing such a massive shift in the way we think of our health in general, and the crowd at VOICES only proved to me further how receptive people are to the process of slowing down. To put that point into practice I held a sound bath as the finale of VOICES 2018 with my crystal alchemy singing bowls. Leading a 30-minute meditation gave everyone a taste of presence and being, and was certainly the disco nap we all deserved before the Gala dinner dedicated to the fashion queen of sustainability herself, Stella McCartney, who was awarded a “BOF Global Voices Award” for her work in the industry, and then the icing on the cake — Beth Ditto raised the roof with a set of some of her best-known songs… as well as Dolly Parton’s “9 to 5”!